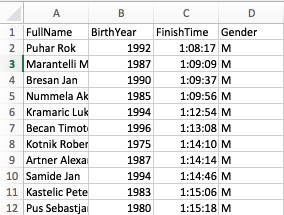 Goal is to extract top 3 participants for each category using SQL query. Microsoft SQL Server has OVER(PARTITION BY fieldname) clause which can help us achieve this goal. However, MySQL doesn’t have any built-in feature. In this case we will utilize variables in order to calculate position for each group. 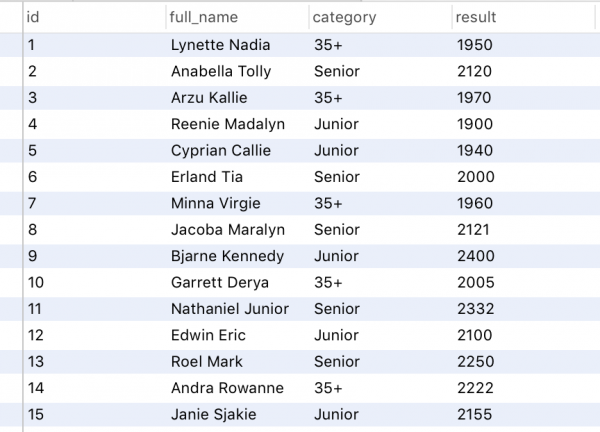 Outer query selects only first three participants from each group. This query looks little bit dirty but it can save you doing additional processing at application level. 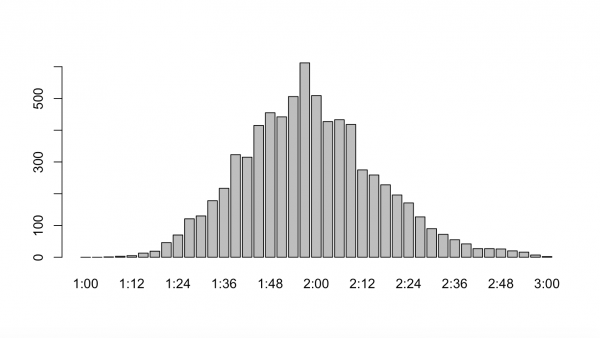 If you are familiar to running (half)marathons these graphs might surprise you. We are going to analyze one by one. X axis represents finish time divided into three minutes chunks. Y axis represents number of participants which falls into those chunks. Graph resembles normal form which is expected. Unlike previous graph this graph contains three dimensions. X axis is age range. 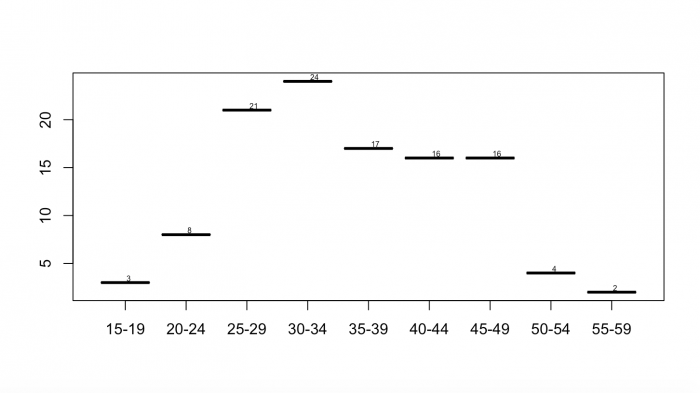 Y axis is number of participants within particular age range. Size of black circle marker represents average finish time. The bigger the circle, the better average finish time. 40-44 age group has largest group of participants. 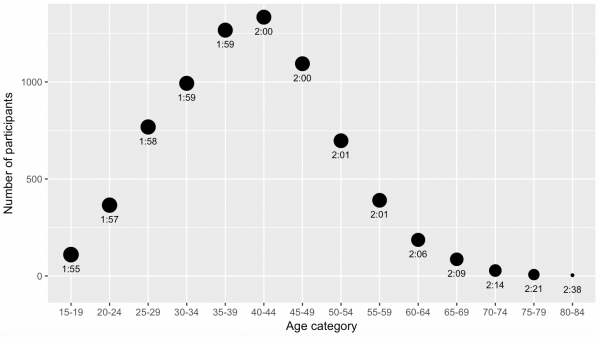 Average finish times are almost identical across age categories from 15-19 to 55-59. X axis represents age category while Y axis represents number of participants that achieved results better than 1:25 h.